Of course a pretty beach bag is essential. 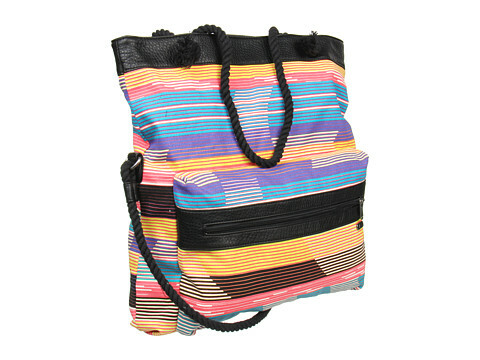 Like the colorful Vans Breakers Beach Bag. Roomy, with convenient cross-body strap and lots of storage pockets. She might need a great hat. It’ll work alone as a gift, or bundled with one of the ideas on the earlier post, Jessica Style; or the Market Tote. Is she into relaxed/ bohemian styles? Michael Stars pigment Printed Tassel Straw Hat looks good with a cover-up outside on the veranda. It also looks good on the beach or at a summer party. Or, perhaps her tastes run more to sporty/distinctive. Gift her with the David & Young Two Tone Braided Fedora. * 40% off sale for limited time. An extrovert might love the pop of color of this Summer Straw Hat. Flattens and folds for packing. Bloomingdale”s also offers lots of hats that may fit your recipient. The caftan in the earlier post can take your recipient from pool to lunch. She might want to get a little dressier for dinner or ev. Florals still trend for this summer. Is she tall, and a banana or straight body shape? And love to make an entrance at events? She’ll love the form-fitting, vintage, picturesque Glamorous Midi Floral Dress. Oh, and she’ll make quite the entrance. Many figures will make an equally stunning entrance in the AGB Floral-Print Maxi Dress. Its unique design (i.e. asymmetrical neckline) will leave a wake of conversation at every event. The Topshop “Erika” Floral Jersey Dress works for the flirty, sassy/free-spirited recipients. Gen Zer’s will love it also. Topshop adds an international aspect. The Strappy Floral Tunic is also a great choice to add to a young lady’s summer wardrobe. This peplum blouse also stylishly expresses the floral trend. It makes a fantastic gift for a bold spirited woman. She can add a pop of color anytime with the floral Tangelo clutch. 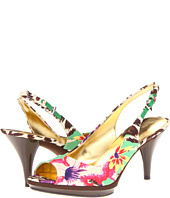 The fashionista on your list can express her floral in heels like the Nine West Sharina or the Nine West Ambitious. 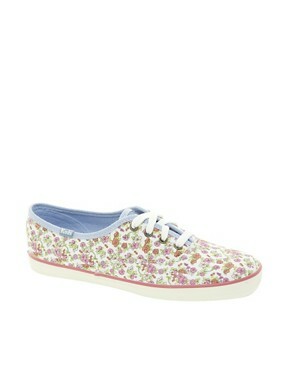 Your more relaxed, sporty recipient might get a kick out the Keds Floral Sneakers. 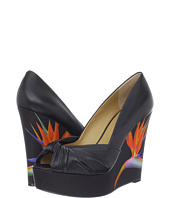 Zappos has a large floral shoe collection, from casual to spiked heels to wedges, like the artistic Chill Pill. One, or more, of these selections should fit the personality of the beach babe on your list. Do also check out Trending Summer, Jessica Style for more options. 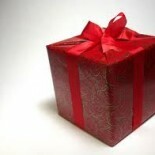 What would be your favorite beach related gift? This entry was posted on June 23, 2013 by frugalistagiftguide in Accessories, season essentials, Uncategorized, women's and tagged beach babes, Floral, Frugal, Frugalista Gift Guides, summer trends.